For many of us in the Show Me State, a good time in October includes everything from costumes and candy to haunted houses and horror stories. Want to experience it all this Halloween? 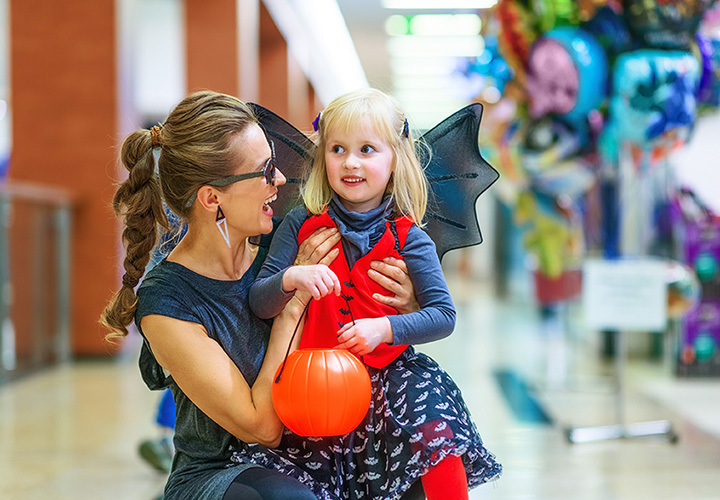 Check out all the spooky and silly Halloween fun to be had in Missouri this season! Johnnie Brock’s Dungeon and Ballpark Village have teamed up to throw one of the largest Halloween parties in the St. Louis area. The Halloween Party That Shall Not Be Named features a magical theme with access to four different bars and restaurants, video DJ entertainment, and an epic costume contest with a $7,500 prize package. No children under the age of four will be admitted on this ghost tour in Hannibal, Missouri. Passengers on this tour are treated to real-life stories, reported ghost sightings, and a haunting tour of the graveyard where it’s said that visitors can “talk” to the spirits. This open-world haunted attraction in Lee’s Summit is a perfect spot for a little Halloween horror. The Living Dead Haunt is dark and disorienting and the ghosts and ghouls inside are guaranteed to scare you. Come on out for the Halloween Dance Party at Paddy O’s, St. Louis’ original baseball bar. Get on the dance floor as the DJ’s keep the spooky spirit going, enjoy the photo booth, or participate in the costume contest. Welcome to the Dungeon! This party warehouse is a Missouri landmark that you’ll want to check out this Halloween. Johnnie Brock’s is your one stop costume and accessory shop, not just for Halloween but for every season. We all have a fascination with that famous outlaw, Jesse James. Kearney is home to his family farm, which is known to be haunted by certain circles. When it comes time to trick-or-treat, candy is a must! General Candy Company is a great spot to stock up on great Halloween candy. Parents love this safe trick-or-treat alternative. This annual event is organized exclusively for children in costume up to the age of 12. Branson Landing merchants participating in the Safe Street Trick or Treat are marked with Halloween PUMPKIN Signs.